Well, here comes another one of those Takoma-inspired solo acoustic guitar albums. It's getting increasingly difficult to talk about the genre with any sort of meaning nowadays given that the spectrum of sounds within this particular school tend to be so heavily constricted. Of course, there are leading lights who mark themselves out as singular talents: Sir Richard Bishop, Jack Rose and James Blackshaw being the big, obvious trinity of contemporary acoustic virtuosos. While each of those players has been successful in stamping out their respective voices on the instrument, there remains a large number of lesser known players operating in the same field who get wrongfully lost in the crowd. It's understandable as to why that might be - how many post-Fahey open-tuned fingerpickers does your record collection need? Well, Alexander Turnquist certainly has his merits. Although his technique slightly lacks the evenness and effortless fluency you'd hear from Rose or Blackshaw, he more than compensates with his impassioned, often aggressive assault on the strings. 'Mime Fight' proves to be especially revelatory, the guitarist taking time out from more run of the mill picking duties and instead opting for some warped percussive workouts. Beyond the actual playing, it's worth listening out for some of Turnquist's quirks in presenting his material. 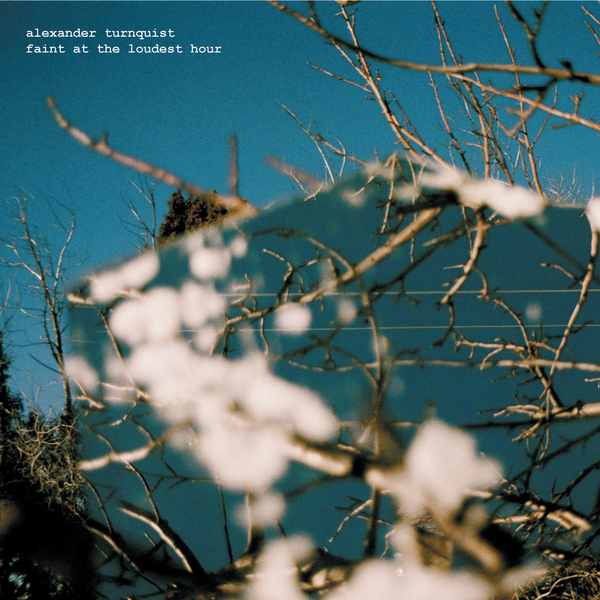 Halfway through the chiming raga of 'Amongst A Swarm Of Hummingbirds' there's a bit of a Fennesz moment, Turnquist feeding his instrument through a tangle of granular plugins before emerging at the end with a reinvigorated, gallop to his string plucks. Scott Solter (Mountain Goats, Liam Singer) does a wonderful job of recording the album too, capturing every detail of Turnquist's forceful performance. I guess there's room for one more in that 'solo guitar' section of your record collection afterall.